Manchester City winger Leroy Sane had a lucky escape after finding himself on the receiving end of a horror tackle last night. 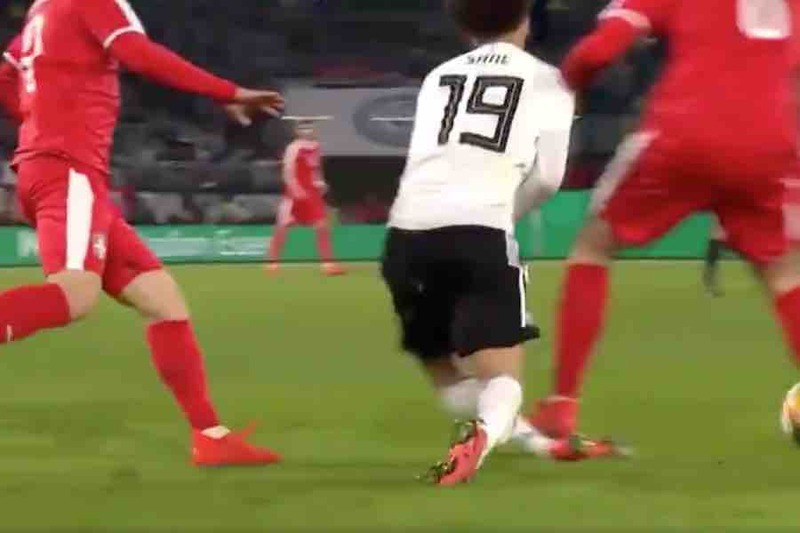 Sane was playing for Germany in their opening Euro 2020 qualifier against Serbia when Red Star Belgrade’s Milan Pavkov landed a stamping challenge across his ankle. The City star’s leg bent at a horrific ender, but he has miraculously escaped serious injury. Pavkov was sent-off for serious foul play. You can see the incident in the video below.